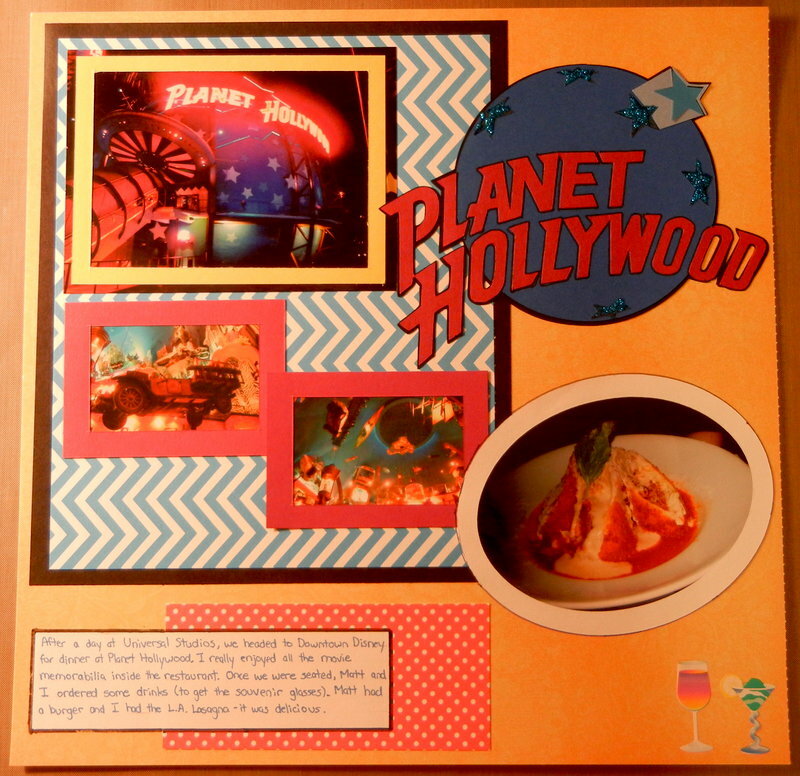 Journalling: "After a day at Universal Studios, we headed to Downtown Disney for dinner at Planet Hollywood. I really enjoyed all the movie memorabilia inside the restaurant. Once we were seated, Matt and I ordered some drinks (to get the souvenir glasses). Matt had a burger, and I had the L.A. Lasagna – it was delicious." The logo I cut with my Cricut Explore, some of the stars are covered with True Blue Stickles, and the background paper is DCWV Luxury2 Stack.